Do your kids like jungle animals? 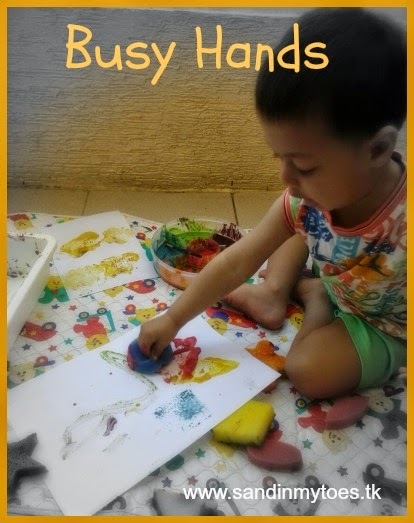 Here's a great craft for engaging them in creative play. We made a simple puppet theatre from a cereal box, inspired by this underwater-theme puppet theatre on Handmade Charlotte. Toddlers and preschoolers can help with most parts, except cutting the cereal box itself. 1. Glue the top of the cereal box shut. 2. Cut out a smaller rectangle on one side of the cereal box, as shown below. 3. 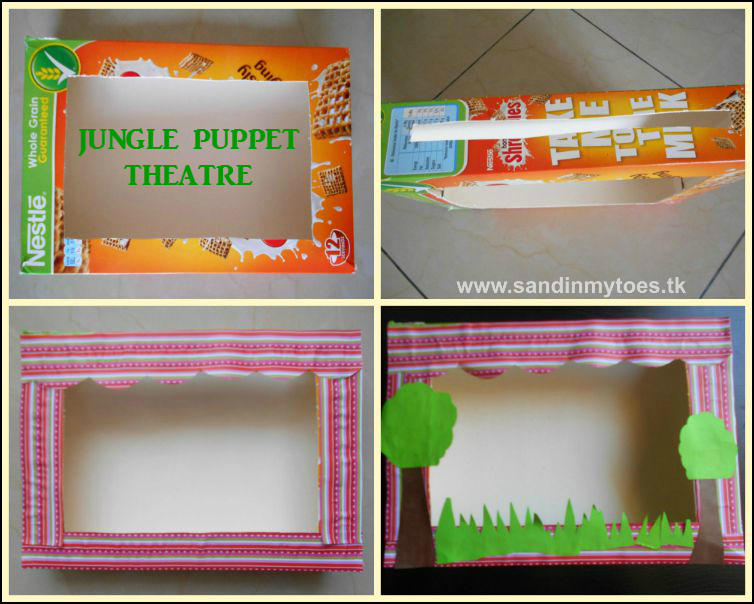 Stand the cereal box horizontally, and make a slit on the top, wide enough for puppets. You can even make the slit at the bottom, but I figured it would be easier for my toddler to use it this way, on a table top. 4. Decorate the puppet theatre. We used a printed scrap paper that looks like fabric to make 'curtains'. We only glued this on the front of the theatre, but you can cover all of it if you like. 5. Use the craft paper to make trees, and grass. Any jungle prop will do! 6. 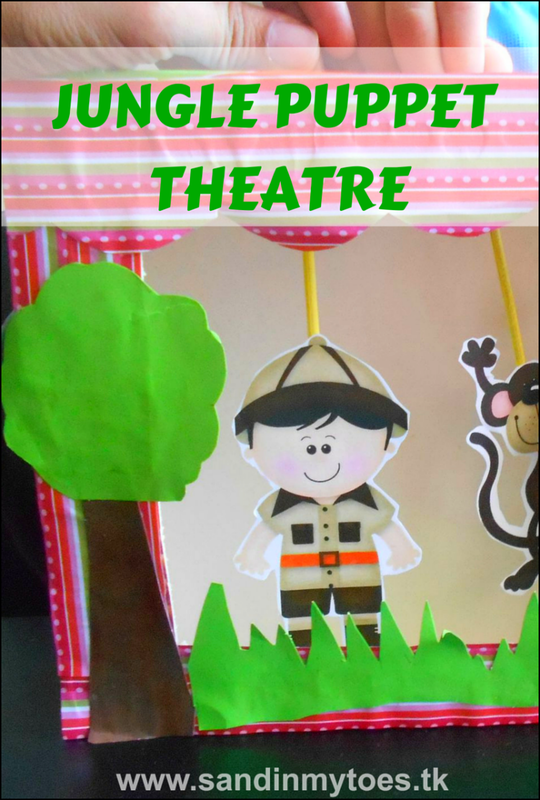 For the puppets, we downloaded these cute Zoo Animal printables (scroll down and look for Zoo Animal Magnets) from Ironic Adventures . You can also draw your own, or cut from magazines. 7. Cut out the animals, glue on to card paper, and stick them on to a popsicle/craft stick, or lollipop stick. We found the little wooden sticks at a craft store. 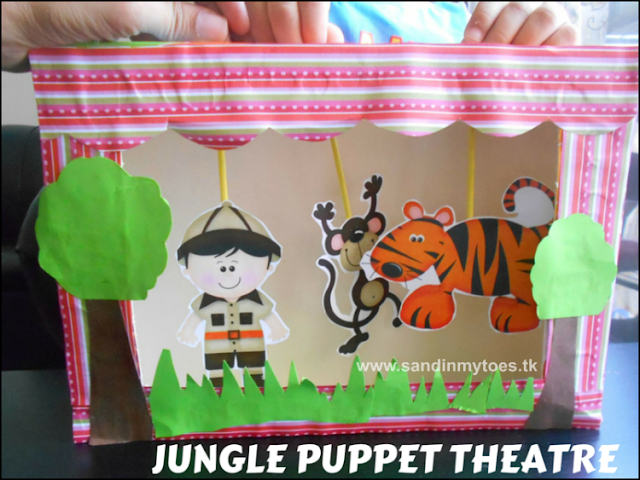 We've been having a lot of fun making up stories with these characters, and it was so easy to make this puppet theatre! What else can you make with a cereal box? Try this DIY Ball Game or this Parking Garage.